1918 – Arthur Scherbius applies for a patent for the Enigma cipher machine. Scherbius' Enigma patent—U.S. Patent 1,657,411, granted in 1928. 1926 – Enigma is used by the German navy. 1928 – Enigma is used by the German land forces. 1929, January – a cryptology course is launched at Poznań University, it is attended, among others, by Marian Rejewski, Jerzy Różycki and Henryk Zygalski. 1929, summer – having completed the cryptology course, Jerzy Różycki and Henryk Zygalski start to work at the Cipher Office branch in Poznań. 1930, summer – Marian Rejewski, after returning from Göttingen, also starts to work at the Cipher Office. 1932, September – the team of the Poznań branch of Cipher Office is transferred to Warsaw. 1932, October – Maksymilian Ciężki entrusts Marian Rejewski with the task of breaking the Enigma code. 1932, December – Marian Rejewski recreates the machine and breaks first messages encrypted with Enigma. 1933 – AVA company builds about a dozen copies of Enigma, and decryption of Enigma messages starts at full speed. 1935 – the Polish team creates a cyclometer - the first electromechanical device supporting the decryption process. 1938, autumn – the Germans make some further modifications in the way Enigma is used and add two new rotors to the machine. 1938, November – Marian Rejewski responds to the new challenge and builds “a bomb”. At the same time, Henryk Zygalski designs his method of sheets. 1939, January – a British-French-Polish cryptologic conference is held in Paris. Some British participant of the conference describes the Poles as 'foolish and ignorant'. 1939, July – the second trilateral conference in Warsaw. The Poles disclose the secret of their successes in breaking the Enigma codes and share with the future Allies their entire knowledge about the methods used in decrypting the Enigma codes. 1939, August – the news from Poland directly affect the decisons of the Brits to recruit mathematicians as well as expand their cryptologic centre in Bletchley Park. 1939, September – the outbreak of war, the evacuation of the Cipher Bureau via Romania to France. 1939, October – the team of cryptologists, due to some political disagreement, is denided joining the Polish Armed Forces. The cryptologists are subject to the French command. 1939, autumn – the British have difficulties using the knowledge disclosed by the Poles. The French, however, refuse to delegate, even temporarily, any of the Poles to help overcome the deadlock. 1940, January – Alan Turing brings Zygalski sheets to France. They have been prepared in Great Britain as specified by the instructions from Poles. On 15th January the Poles break the first Enigma message in World War II with the use of the sheets. 1940, April – the Polish and British teams successfully break the ciphers of Enigma during the Norwegian Campaign. 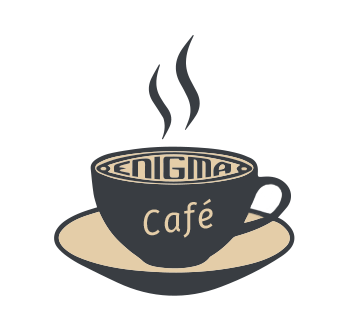 1940, May – the Germans change the manner of use of Enigma before the attack on Benelux and France - the allied cryptologists are temporarily helpless. 1940, June – evacuation of the Polish team to the south of France and then to North Africa. At the same time in Great Britain John Herivel overcomes the crisis in decryption. 1940, August – on the brink of the Battle of Britain, the first Turing bomb, designed on the basis of the earlier Rejewski’s bomb, but much more efficient, arrives in Bletchley Park. 1940, September – decrypted messages of Luftwaffe communication network support the British in the decisive phase of the Battle of Britain . 1940, October – the French decide to transfer the Polish cryptologists to the part of France free from occupation and to organise a semi-conspirational cryptologic intelligence station near Uzès. 1941, spring – the British begin to break the ciphers of German units that are being organised in North Africa. 1941, April – thanks to the documents found on board of a German boat off the coast of Norway, the British break the Enigma Kriegsmarine ciphers for the first time. 1941, May – the control of the British over the Kriegsmarine ciphers is strengthened even more thanks to the documents found on board of a captured U-110 submarine. 1942, January – Jerzy Różycki and two other members of the Polish team die in a ship crash on the Mediterranean. 1942, February – the fleet of German submarines introduces a 4-rotor Enigma. The British lose their ability to break its ciphers and begin to suffer disastrous losses in the Battle of the Atlantic. 1942, November – in reaction to the allied invasion in North Africa, the Germans take over southern France. The Polish station is closed down with urgency, and its personnel await in conspiracy for a chance to escape from the occupied territory. 1942, December – a discovery on board of a submarine makes it possible to overcome the deadlock in decryption of the 4-rotor Enigma. 1943, February and March – the members of the Polish team try to cross the green border with Spain. Some of them manage to do that, but the commander of the group, Lt. Col. Langer, and his deputy, Major Ciężki, betrayed by the French are captured by the Germans. 1943, summer – Marian Rejewski and Henryk Zygalski, after a period of internment in Spain, reach Great Britain through Portugal and Spain. In Great Britain, however, they are not allowed to work in the centre, which came into being thanks to their successes in attacks on Enigma. Until the end of the war they work on solving less important German ciphers, mostly manual ciphers of Waffen SS. 1943, summer – cryptologic bombs designed in the USA, a lot faster than the British ones, are started to be used. Thanks to them, most Enigma ciphers, also those of the 4-rotor model, are broken quickly and efficiently. 1944, spring – Langer and Ciężki are held in an internment camp in Eisenberg castle (the territory of the present Czech Republic). A committee of German radio-intelligence services pays them an unexpected visit to interrogate the Polish officers. The Poles manage to mislead the interrogators, and keep the success of Enigma decryption by the Allies secret. 1944, summer – the Germans begin to suspect that the Enigma codes are being broken and introduce new devices making the decryption even more difficult, among others, the “Uhr” unit and a reflector with variable wiring (the so-called UKD). This, however, makes it more of an inconvenience rather than a significant barrier for the Allies to decrypt the German codes. 1945, May – Langer and Ciężki are liberated by the Americans in the liberation of the camp. They return to London where they receive a cold welcome. 1945 – immediately after the end of World War II, the decryption of Enigma, one of the biggest secrets of that war, transforms smoothly into one of the biggest secrets of the just-started Cold War. The mathematical principles developed by the Poles to enable breaking the ciphers produced by rotor machines, continue to be valid, and therefore must remain secret. 1946 – Marian Rejewski returns to the country, when he must sacrifice all his ambitions to ensure safety to himself and his family. Henryk Zygalski remains in Great Britain. Although he holds a university degree, his Polish diploma is not recognised in Britain. To be allowed to teach mathematics at British schools, he has to repeat his studies. 1956 – in the USA, one of the bombs from the period of World War II, used until then to break the messages of the East Germany police, encrypted with Enigma, makes its last run. 1967 – having retired, Marian Rejewski writes down his memoirs of the pre-war work and deposits them at the Military History Institute. A later reference, of a Polish historian, to that book and the breaking of Enigma is received with disbelief. 1968 – a couple of British historians hint in their works at breaking of the Enigma code and the role of the Poles in this operation. Since the information is still classified, their hints pass unnoticed. 1973 – a retired French general, Gustave Bertrand, publishes his memoirs in which he reveals the fact of breaking Enigma, as well as the role of the Poles. 1974 and later – several British authors, in response to Bertrand’s book, publish a number of works presenting a strongly distorted version of the history of breaking the Enigma code. 1982 and later – the British and American documentation related to the operations of breaking the Enigma ciphers are begining to be declassified. New views, showing the story from a more balanced perspective, are being presented in the works apearing as a result of the proces, starting with The Hut Six Story, a book by Gordon Welchman.